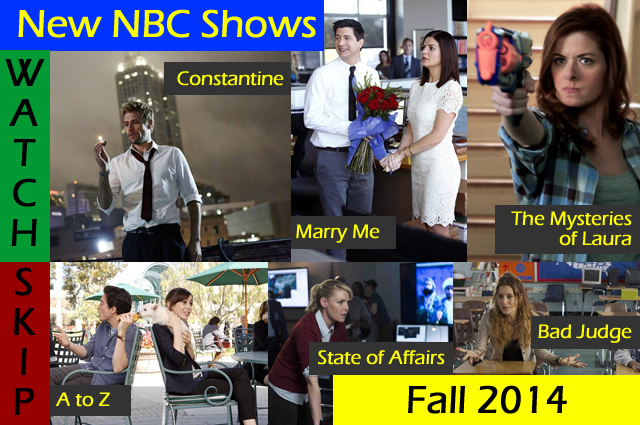 At first look, I thought all the NBC shows sounded like they were up my alley, but the one I have the highest hopes for is Marry Me. 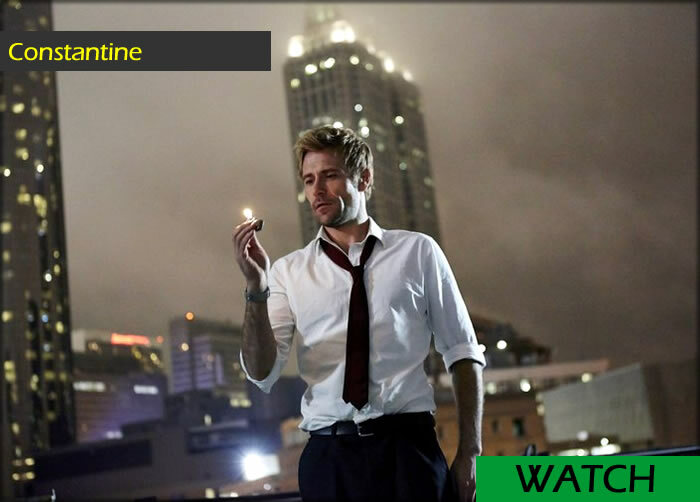 I am going to try out to see if I like Constantine and The Mysteries of Laura. I was quite disappointed by the trailers for the other three shows since I thought I might like them. If I hear good things about them later, I might have to go back to check them out. For now, I plan on skipping them. 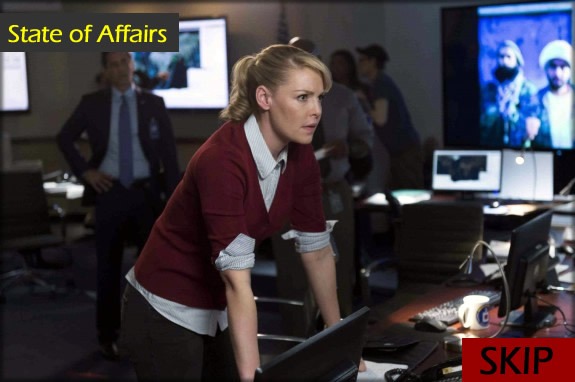 Katherine Heigl is a CIA analyst who puts together a briefing about the greatest threats to national security for the president (Alfre Woodard). She’s also pissed off and vengeful about the terrorists who killed her husband (and the President’s son). My Take: I think the premise sounds interesting, but it is all so very earnest and serious that I might be bored to tears. I also don’t like the backstory of Heigl’s character dealing with her deceased fiance who also happens to be the President’s son. It wants to pull at the heartstrings and it seems unearned. Will you watch State of Affairs? After six years, a couple is on their way to be married, but they keep screwing up the proposal over and over again. Is it a sign they shouldn’t be together? My Take: I love the people in it. It’s from the creator of Happy Endings, which I loved. This seems more like a movie than a tv show, but then the premise to Happy Endings didn’t last long until it was just an ensemble comedy of awesomeness. I am willing to give this a shot because of all my already professed love for the people involved with it. Will you watch Marry Me? She’s a cop! She’s a mom! She cracks jokes! She does it all! My Take: I thought this sounded stupid. It doesn’t look fantastic, but I still found myself smiling at goofiness in the trailer. I think I’ll check it out but I won’t have high expectations. Will you watch The Mysteries of Laura? Kate Walsh plays a judge who is great at her job, but a hot mess in real life. She also starts taking care of a kid who is having a hard time in his group home after she sent his parents to prison. My Take: I so want to like this because I love Kate Walsh, but the things that come out of her mouth that are supposed to be shocking just make me wonder how she still has her job as a judge. 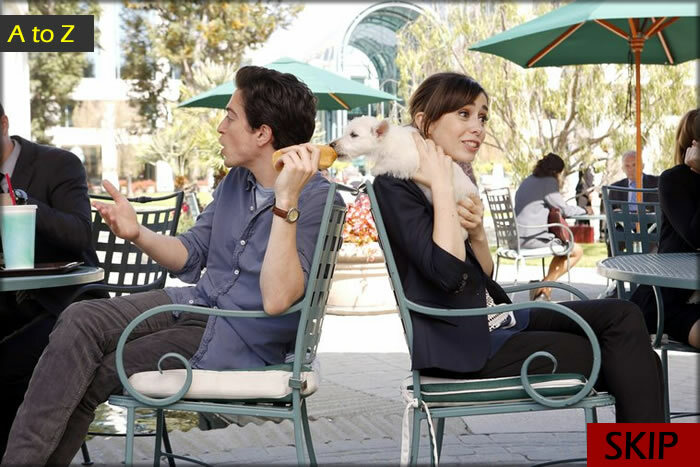 Will you watch Bad Judge? Based on the DC Comic Hellblazer about a demon hunter who tried to give up after not saving a girl’s soul from going to hell, but an angel convinces him to help out a girl who just realized she’s a medium to these spooky beings. My Take: I was almost bored with the trailer, but then parts of it seemed creepy and reminded me enough of Supernatural that I wanted to check it out. It’s a mix of How I Met Your Mother and 500 Days of Summer in a television show where you get to watch the entire relationship of two people. My Take: Ugg. I like these two actors, but I don’t think they have any chemistry and nothing that I saw in the trailer looked remotely interesting or even close to the adorableness of Zooey Deschanel and Joseph Gordon-Levitt in 500 Days of Summer. 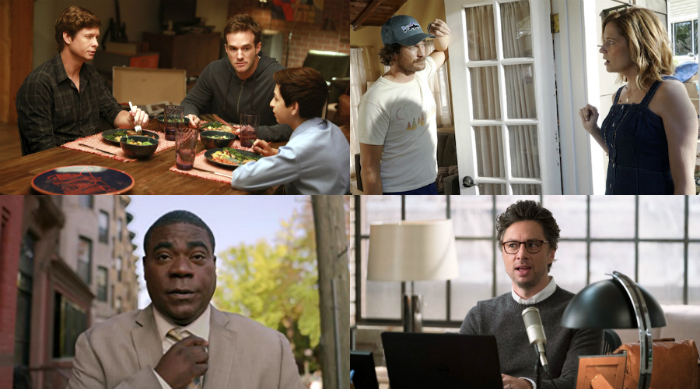 Will you watch A to Z?